So, it’s National Sandwich Day! But before you run out and get your favorite compilation of ingredients in between two pieces of bread, let’s talk about five of our favorite sandwich fun facts! 1. The average American will have consumed 1,500 PB&Js by the time they graduate high school. You heard it here first folks! Can you imagine stacking all of those containers of peanut butter and jelly into a neat pyramid, or maybe a log cabin? 2. 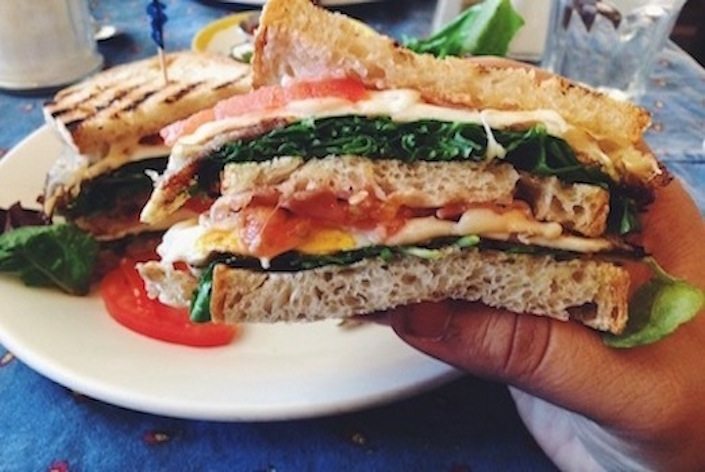 The world’s largest sandwich weighed 5,440 pounds. Move over CARS, the worlds largest sandwich weighs about a thousand pounds more than you! 3. The most expensive sandwich ever sold was a grilled toast sandwich that appeared to have an image of the Virgin Mary on it. It sold for $28,000 in 2004. I hope that sandwich can also do your taxes and pay rent for six months. 4. Americans eat more than 300 million sandwiches every day – an impressive statistic given that there are slightly just more than 300 million Americans. If you got a penny for each sandwich someone ate, that would be 3 million dollars a day! 5. The most popular sandwich in America is the standard ham sandwich (ham, cheese, and mustard or mayonnaise), followed by the BLT. Ah, the classics. Which is your favorite? Best Corporate Events offers a team building program that features sandwiches, that’s right! It’s the Food Truck Face Off Program, so if you like sandwiches, you should definitely check it out. Enjoy your sandwiches and happy Friday!